St Helens Council’s Music Service will be in fine tune over the next few weeks as they welcome young musicians, their families and members of the public into town centre venues for two big events. 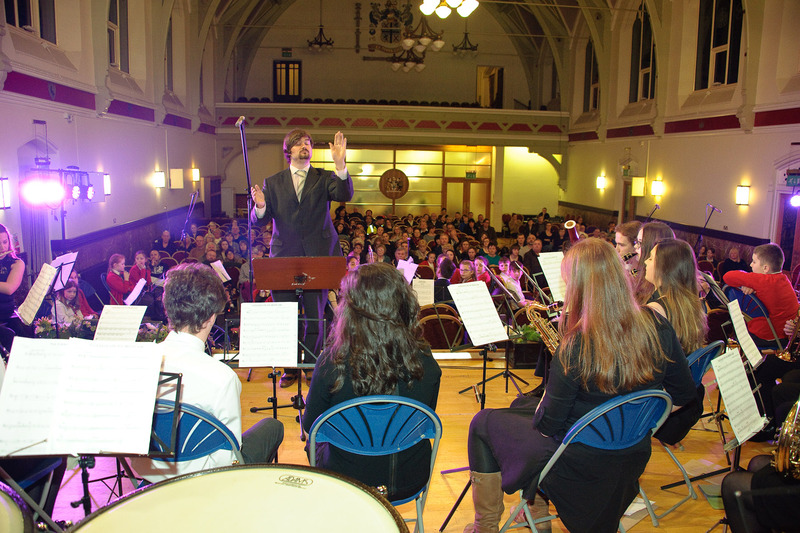 On Wednesday 28 November, members of the music service will host an open evening on the third floor of the Beacon Building on College Street as they look to bring through the borough’s next generation of music talent by encouraging them to get involved in various free-to-join ensembles, including string and wind orchestras. Taking place between 4:00pm-6:30pm, the open evening is an opportunity for potential new starters to meet the tutors; hear about the other exciting activities the service runs on a Wednesday evening – and listen to performances that the children have been preparing over the autumn term. Meanwhile, on the evenings of 5-6 December – primary school children from across the borough will help spread the Christmas cheer as they perform before a packed-out Parish Church at the annual Schools’ Christmas Sing Concerts organised by the music service. Featuring around 650 pupils over the two nights – as well as young people from the council Music Service’s Youth Orchestra – a variety of traditional carols and orchestral pieces will be performed in front of family, friends and special guests, including the Mayor and Mayoress of St Helens, Councillor Pat Ireland and Lynn Glover. Head of Music Service, Dr. Jeremy Sleith said: “The borough has so many gifted young musicians and the purpose of the music service is to nurture and develop their talent further, giving them a stage to showcase their work at several well attended events every year.